How do we make sure that each child has a chance to succeed? We build a school where parents want to be involved in their child’s education. We create a space where we care for one another. We grow a peaceful community. Highland Community School is that kind of school. It was built on the principles of social justice, diversity and community building. It is a school where each child can succeed. And you can help! Each June, Highland invites families from around the city to come together at our annual event, Bike Walk Eat, to build community, enjoy the Hank Aaron State Trail, and raise critical funds to support public education. 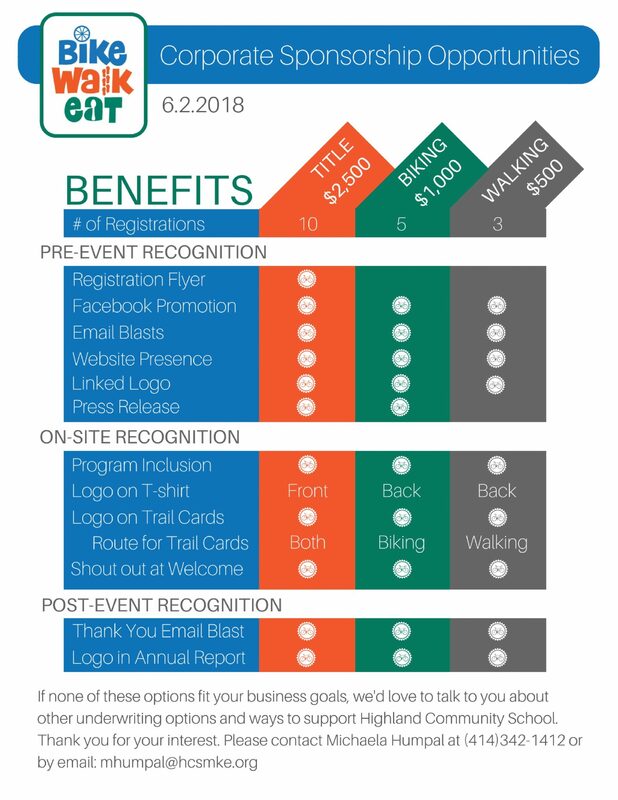 We invite you to demonstrate your support for community-building public education and join us by sponsoring the 7th annual Bike Walk Eat on June 2! You have a strong commitment to the community, and by supporting Bike Walk Eat, you can demonstrate your commitment to potential customers. We expect 300 people to attend this year and thousands more to hear about the event and its sponsors through advertising, social media, and media coverage. This event raises the critical funds needed to provide an award-winning educational program to Milwaukee’s children. 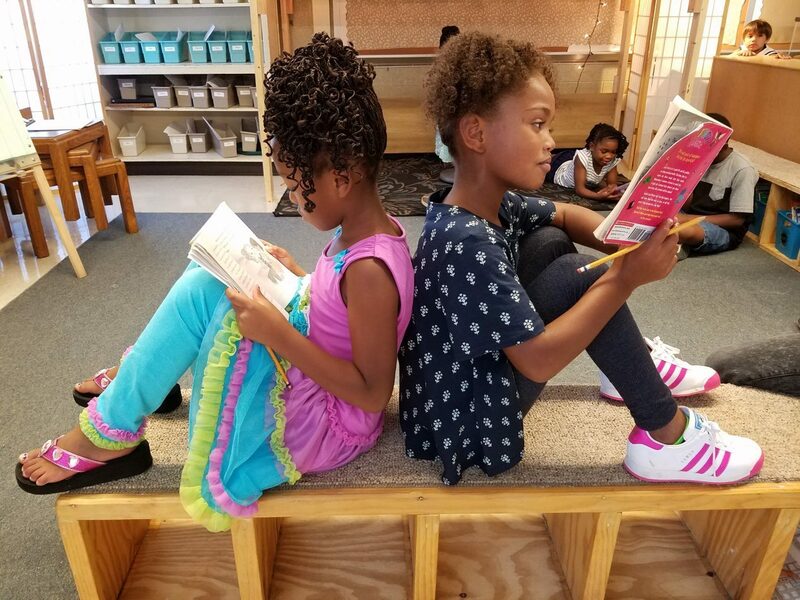 Highland focuses on nurturing students’ curiosity, compassion, and sense of power while building academic skills. By supporting Bike Walk Eat, you are unleashing a force for change in education, our local community, and society at large. It takes a collective effort to care for our children. Please help support our students by sponsoring this event. Feel free to contact me at (414) 342-1412 or via email at mhumpal@hcsmke.org to discuss this opportunity and how we can tailor it to align with your business goals. 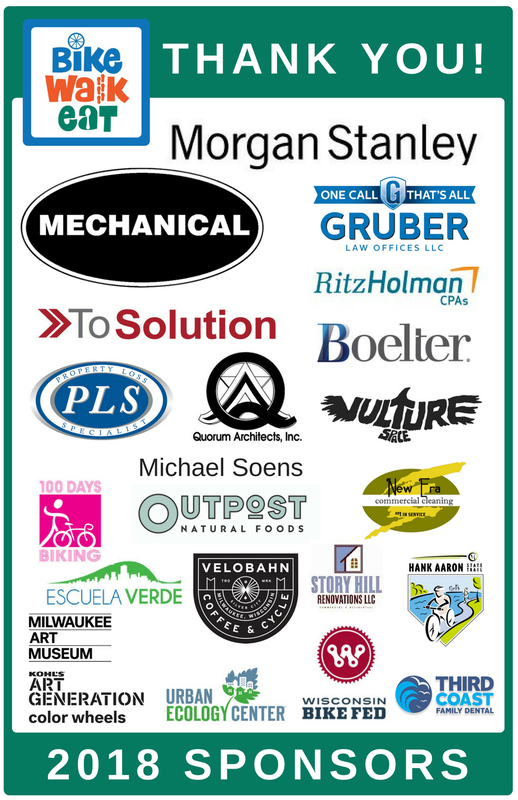 These companies have made a commitment to quality Montessori education in Milwaukee. By supporting Bike Walk Eat, they are unleashing a force for change in education, in our local community, and in society at large. It takes a collective effort to care for our children. Thank you for supporting Highland Community School and the 7th Annual Bike Walk Eat!